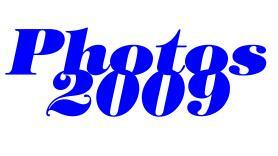 Here is Page One of images, of the family and otherwise, for 2009. These photos are from the period January through May 2009. We started out the year in photos around Martin Luther King Day in January. 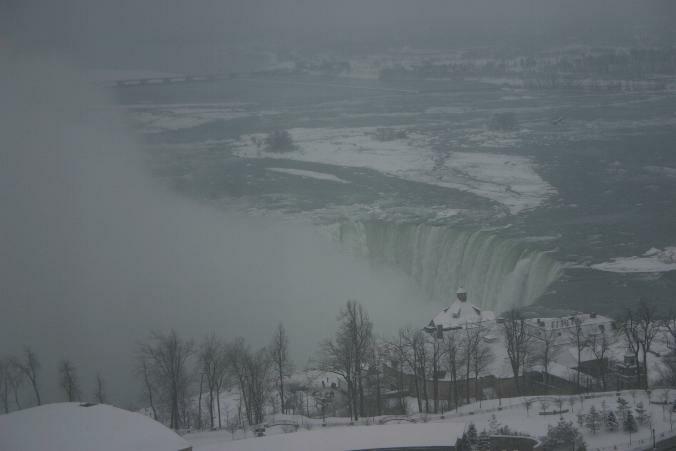 MLK Day is not a holiday in Canada, so we took advantage by staying at our favorite hotel by The Falls on Sunday night. This was the view from our room. Even in a good economy (which it certainly wasn't in 2009! ), accomodations are quite reasonable in the area in January; it's the low point of the "low season." 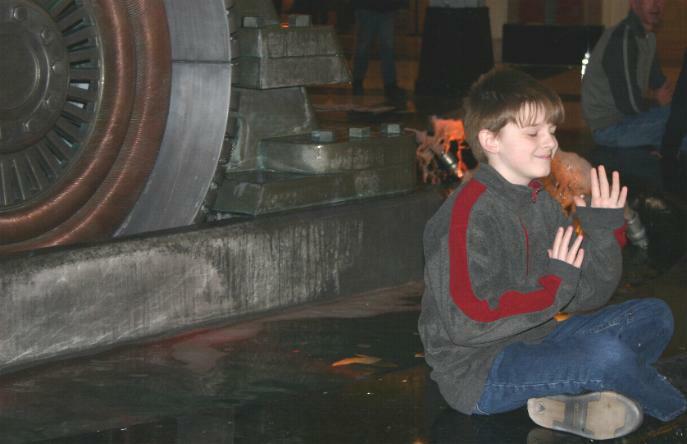 Kieran strikes a Zen-like pose at a display in the public (i.e. non-gambling) part of Casino Niagara. This is a fountain that features parts of the original power generation system that was in place at The Falls decades ago. The force of descending water still generates electricity for a good part of the Northeast and Ontario, no doubt on a far larger scale than the originators of Ontario Hydro ever imagined. As you can tell from the image of The Falls above, it was not exactly an outdoor day when we visited. 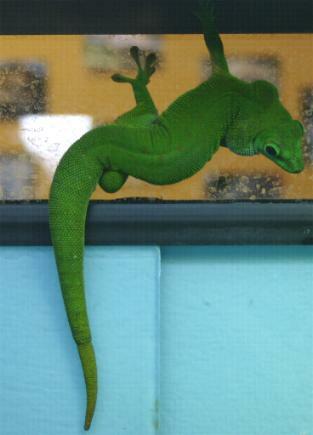 But there are plenty of indoor activities, including the Bird Sanctuary at the Niagara Falls Aviary. (And our hotel package included free passes!) 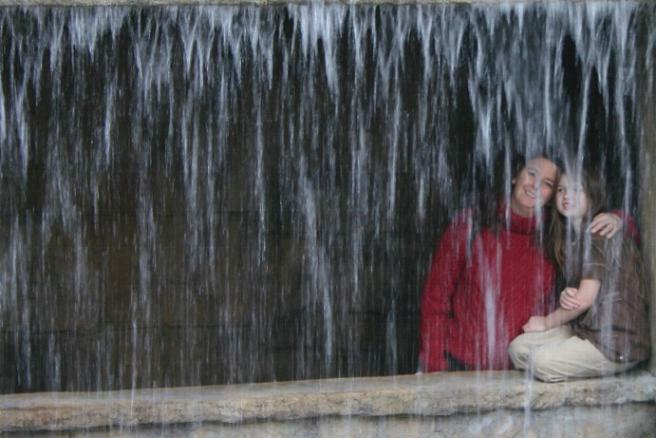 Rosemary and Thalia pose behind a waterfall along one of the walkways through this area. Some birds are free to roam around the expansive building. 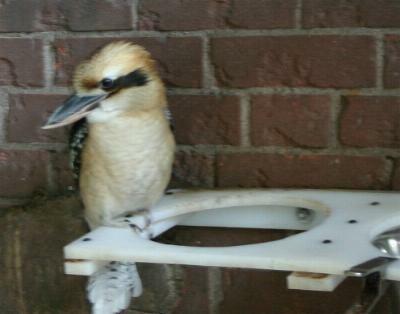 (Left) A bird native to Australia is the Kookaburra, and I got to see them in the wild during a business trip to Melbourne (back when the territory I supported was "Earth"). But the kids hadn't seen one and so I was pleased to let this one make our acquaintance in Niagara Falls. Speaking of animals, here are the two that inhabit our humble Ellison Park abode. 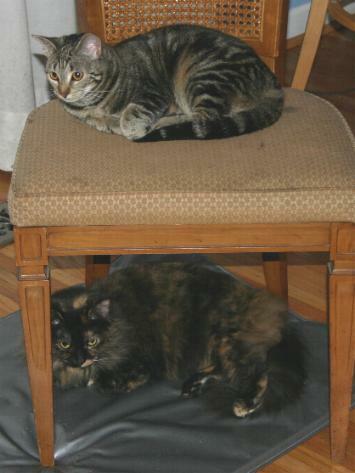 Annie was just a kitten when we last showed her, and she has the "top berth" for the moment above Shadow. Reserved for performers! 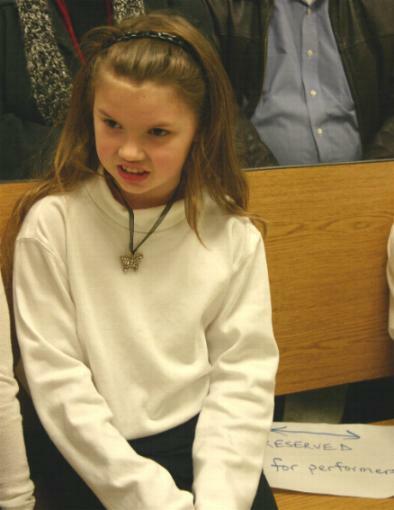 Like our Thalia Elizabeth, awaiting her turn on stage. We'll see her playing a bit later. February, 2009. (Left) April brought a Social Studies Tour of sorts for Spring Break, but not before a stop to visit the kids' paternal grandparents in New Jersey. 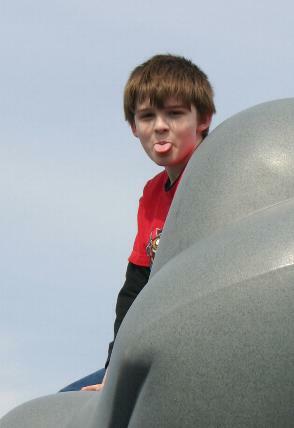 And at the park where their father once played, Kieran offers his usual reaction to a camera being pointed at him. 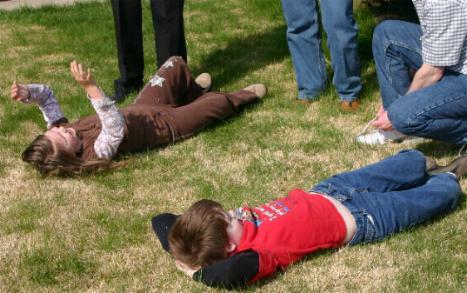 (Right) Later that same day: Thalia and Kieran, er, lounging around in the backyard. Had the weather cooperated on this official first day of the kids' Spring Break, this would have been a much better lit shot of old seen from new in Philadelphia. But I like it anyway! That is, of course, the Liberty Bell behind Kieran and Thalia in its relatively new home, with Independence Hall through the expansive glass windows of the Liberty Bell Pavillion. 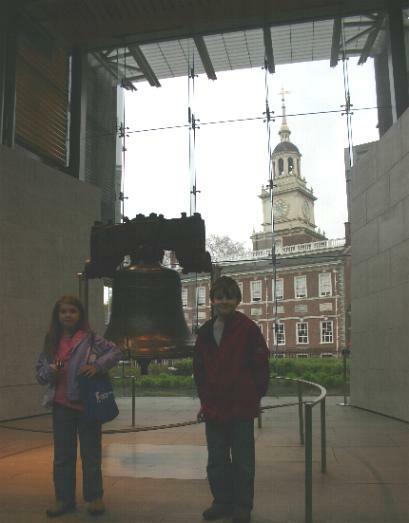 I have to admit that I felt bad that the kids could not actually touch the Liberty Bell, like I could when I was their age, but I do appreciate the way that our symbol of freedom is exhibited today as well. And the very next day... too bright to look into the camera! Kieran and Thalia at Capitol Hill, April 20, 2009. 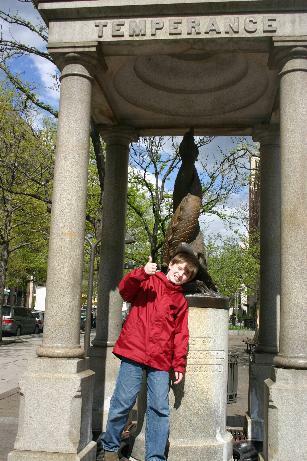 (Left) Kieran gives a "thumbs up" at a monument to Temperance and other virtues ("not sticking out tongue for photos" not among these!) just off Pennsylvania Avenue. 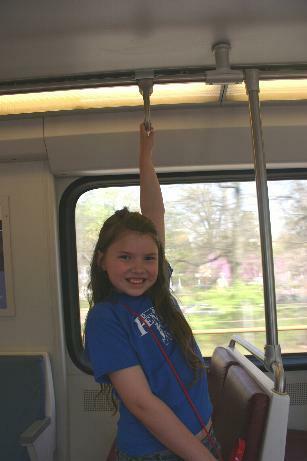 (Right) Thalia plays straphanger on a METRO Train. We made extensive use of the system during our trip. Tragically, two months later a terrible accident took place on this line not far from where this photo was taken. 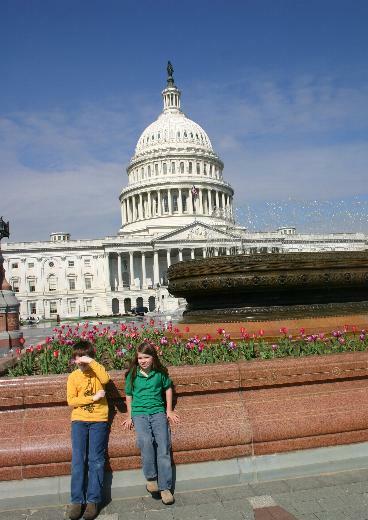 We've done enough traveling around the Northeast such that even though we included several states and the District of Columbia on this trip, only one of those was a "new" one for the kids. Almost Heaven! West Virginia. No, wait, now it's "Wild and Wonderful." Daddy illegally parked (whoops, did I say that?!?) along US 340 in Harper's Ferry, in the absolute easternmost tip of the state, in order to get this required (and backlit, grr...) shot at the appropriate sign. I'm not sure Kieran and Thalia were all that enthused about this. 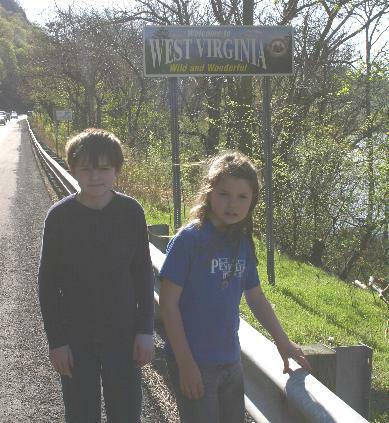 By the way, though both kids have officially been to Ohio, neither is old enough to remember, so we're heading for a "do over" at some point. The next closest state to which the kids have not been at this writing is probably Indiana, though I haven't validated this. 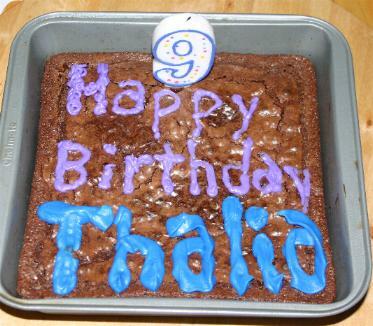 Happy Birthday Thalia! Wow, the final single digit birthday we will celebrate in the family. Unless we count Shadow and Annie, that is! That's a brownie cake, if you're curious. 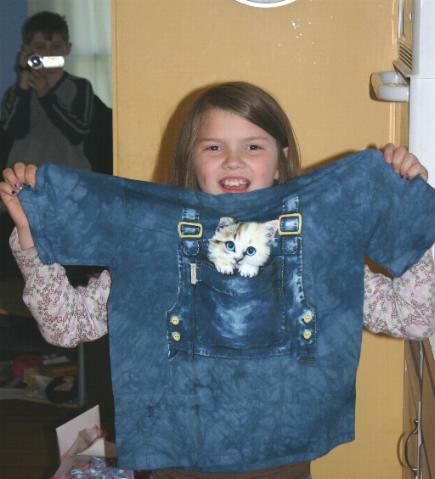 (Right) And speaking of cats, Thalia Elizabeth holds a gift from Grammy and Grandfather featuring another feline. Kieran has taken over the role of videographer for us, and you can just make him out in the left background, complete with camcorder. 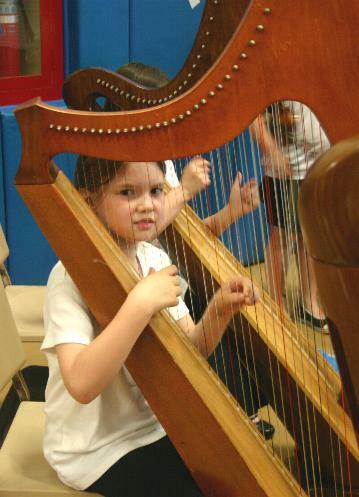 I mentioned Thalia performing earlier, and here she is in May 2009 playing the harp. She switched from violin for 3rd Grade and is much happier with that instrument. 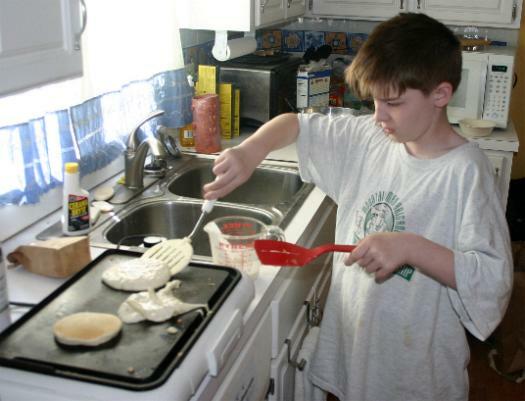 And we "flip" to the end of this page with Kieran trying out his skills at making pancakes. But there are more photos on Page Two... here.